A convicted mobster’s road-rage fit has now got him parked in jail. Jerry Balzano — out on supervised release for racketeering conspiracy — was driving upstate when another motorist apparently did something he didn’t like, according to a new bombshell video obtained by the Daily News. Video from the other driver’s dashcam shows the alleged soldier of New Jersey’s notorious DeCavalcante crime family in front of a driver traveling in the left lane. Balzano slows down, then gets out. “You want to play f------ games, you little c---------,” Balzano says. “You want to cut me off like a tough guy?” he adds. The profanity-laced assault can be heard — along with the driver’s wife frantically calling 911. Another driver stops and tells Balzano to go back to his car. Balzano, 54, is seen getting back into his vehicle and driving off — even though he didn’t even possess a valid license to drive a car. The identity of the other motorist has not been made public. The U.S. attorney’s office in Brooklyn did not provide a date or location for where the alleged road rage took place. New York State Police declined comment when asked about the incident. As a result, Balzano’s on the hot seat with the feds for the incident, while also facing a state harassment case. Brooklyn federal prosecutors played the video for Judge Kiyo Matsumoto — and Balzano was ordered detained on March 8, authorities told the Daily News Monday. Balzano is currently being held at the Metropolitan Detention Center. He now faces a violation of supervised release hearing next month, court papers show. This is the second time prosecutors said Balzano violated his supervised release after serving an almost two-year sentence. The first time, he ended up getting another four months in the slammer. During Balzano’s first violation of supervised release, he admitted to having a firearm and ammunition. Balzano lied to his probation officer at the time, saying the weapon wasn’t his, prosecutors said. 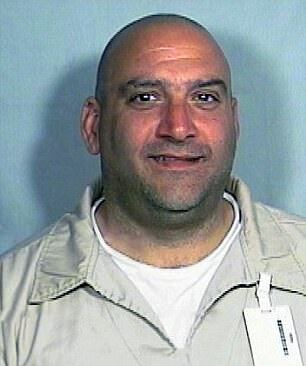 Balzano was one of more than 100 mobsters and associates charged by the feds in a sweeping set of indictments in 2011. Balzano’s original 2011 conviction involved a plan to distribute 1,400 packs of contraband cigarettes and the theft of a $15,000 tax refund check. He ended with an almost two-year sentence following his conviction. His lawyer, Gary Schoer, declined comment Monday afternoon.